Knitting: Sky Scarf Completed--a year of weather documented with yarn! I finished my Sky Scarf this week! Leafcutterdesigns.com created this great knitting project. 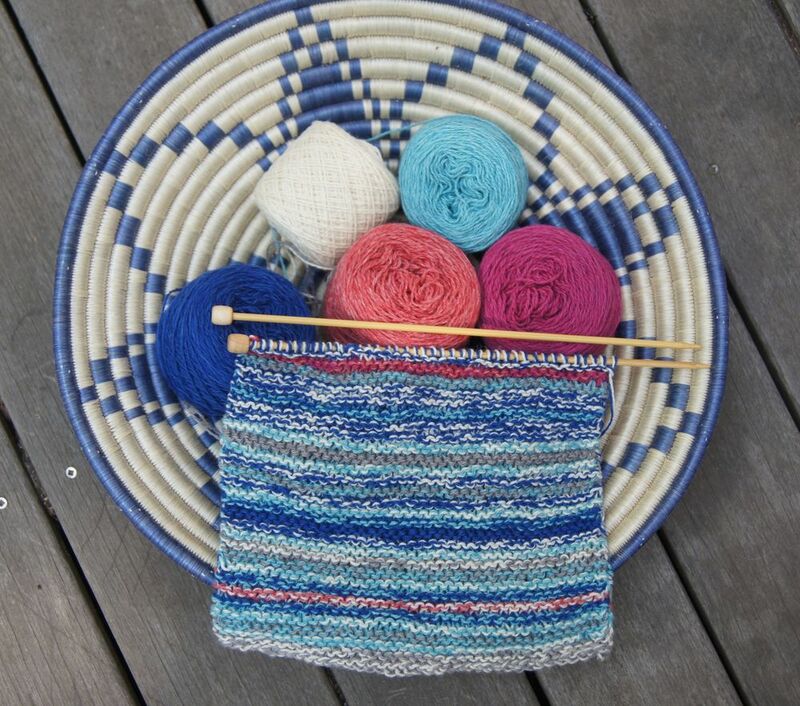 Each day you check the sky, pick 2 colors of yarn that match the sky and knit 2 rows. Repeat daily for a year! 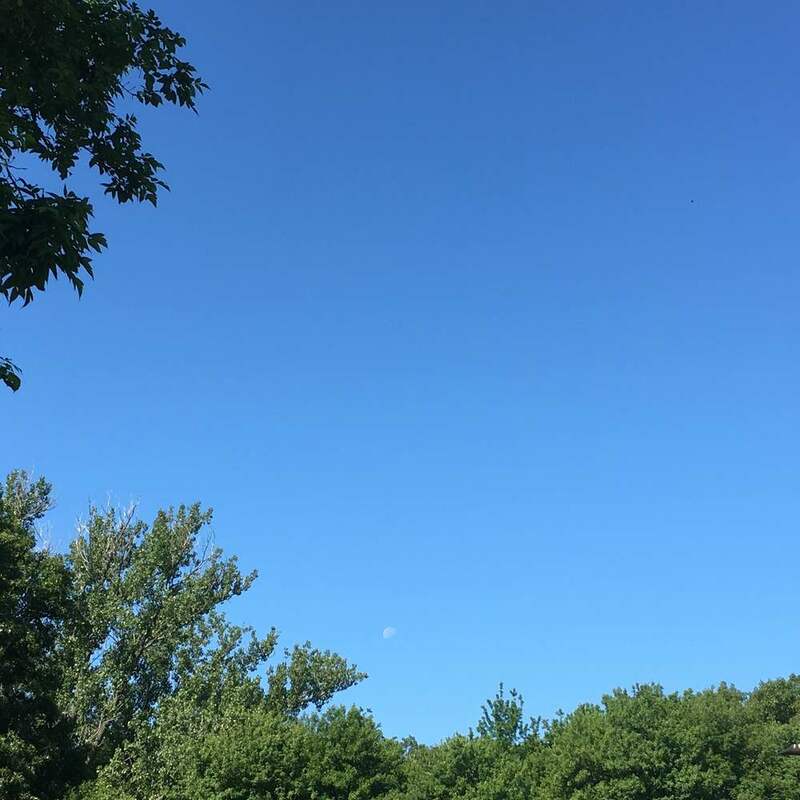 Recent skies in Boston, Massachusetts: Blue blue, blue and white, light blue and white, grey and white. I started at the end of June last year. Here's a link to my first post about my Sky Scarf project. In addition to sky color and clouds I knit in some beautiful sunsets, the Fourth of July fireworks and one lunar eclipse. Each snow storm in the Boston Winter 2015-2016 is recorded as a pure white bar in the scarf. In the photo below the eclipse is shown in the rows of dark pink and purple right at the bottom fold. My completed scarf is 76 inches long. Below ere are photos of the entire scarf and the label I made. (I didn't buy the Sky Scarf kit which comes with a beautiful official patch which is different than my handwritten label). This project was great fun! I highly recommend it if you are considering knitting your own Sky Scarf. I enjoyed really looking at the sky and knitting a couple rows in the evening, at the end of the day!